This is a tiny bird around 4 1/2". 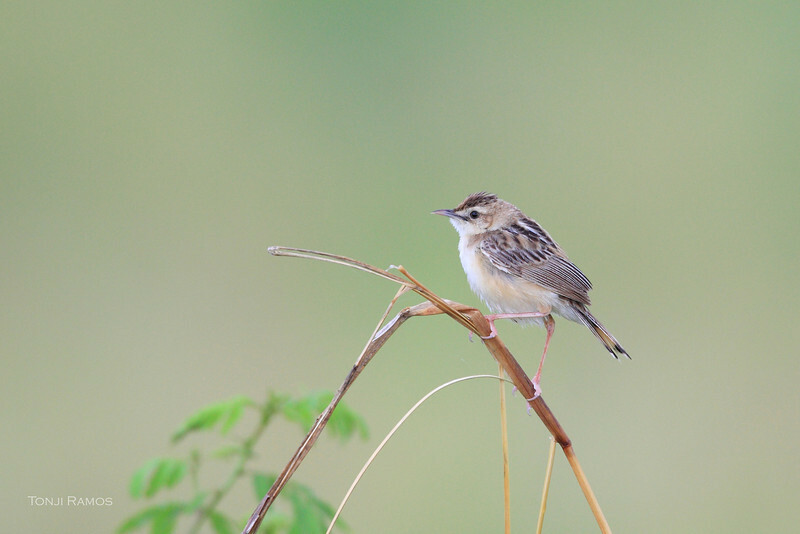 We have seen this bird in grassy places as well as rice fields. It has a distinctive streaked crown and white underparts. It has an interesting courtship display where it flies up calling then lands on a blade of grass and continues it's call. It is not very shy and can be easily seen. We first saw this bird in Santa Rosa. It's a very small bird with an unusual metallic sounding call. Also sounds like two stones hitting each other. It was in the tall grass. Finally photographed in Masantol, Pampanga in May 2009.